In a few weeks, we’re taking our first road trip as a family of four. To say I’m nervous is an understatement. We’ll be headed from our home in northern Virginia to upstate New York to visit Chris’ extended family and some friends, and the trip is about 7-8 hours. 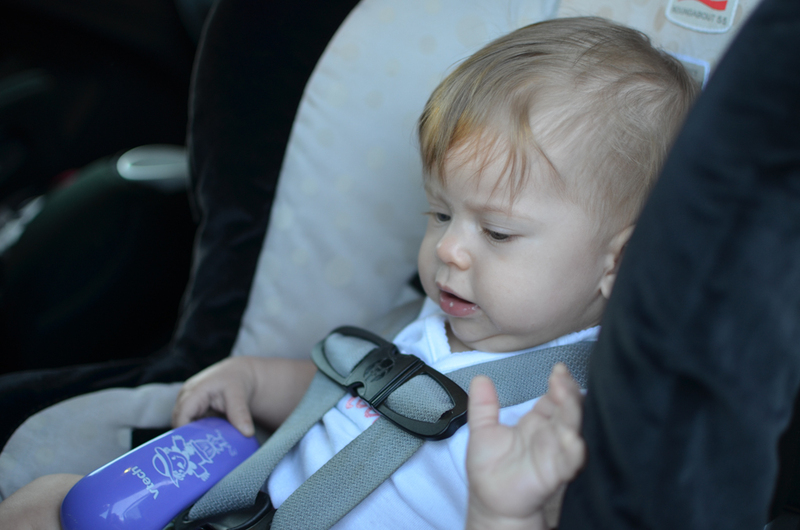 We’re driving with an extremely active 4.5-year-old and a nursing almost 9-month-old. See why I’m nervous? 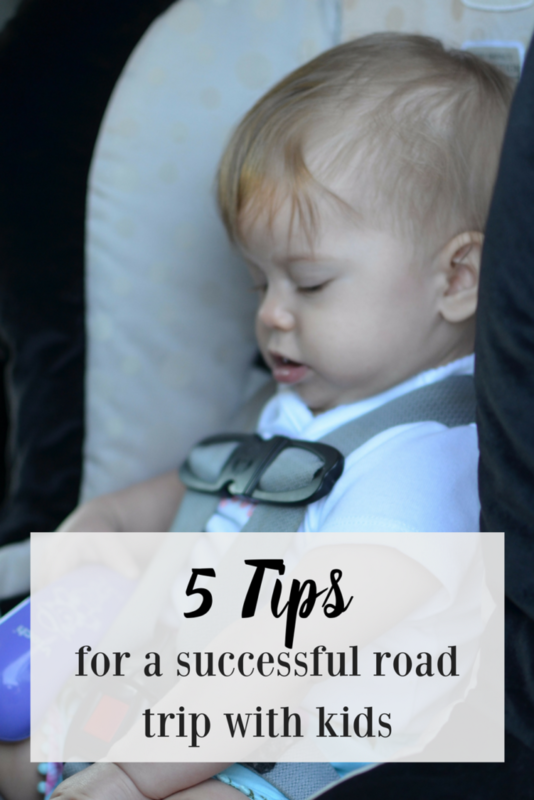 Luckily, we’ve made trips like this before, and I’ve learned a few tricks from our previous trips with Abbie and other mamas I know. Leave super early in the morning. I don’t mean typical early, like 6 or 7 am. I mean 3 am. And no, that’s not a typo. This is actually a trick I learned from my own parents. When we went to visit my grandparents in New York City when I was a kid, we always left at 3am, which put us in the city by 9am at the very latest. It also meant that I slept the majority of the way up and wasn’t bugging my parents with incessant questions and pleas for entertainment. Now, I’m not going to pretend that it’s easy – it’s definitely hard to get up that early, but the payoff is worth it. I’m expecting both girls to go right back to sleep as we get on the road and wake up in time for breakfast. Plan your stops. That brings me to the second tip – planning out your stops. While we will obviously stop earlier if needed, we’re planning on getting a little over halfway through the trip before stopping for breakfast. I found a place to stop for breakfast, and less than 5 minutes away from it is another essential – a playground. After all that time in the car (and more to come), Abbie will need to run around for a while and get some energy out, and the fresh air will do all of us some good. We plan to spend a good amount of time playing before heading back to the car for the rest of the drive. 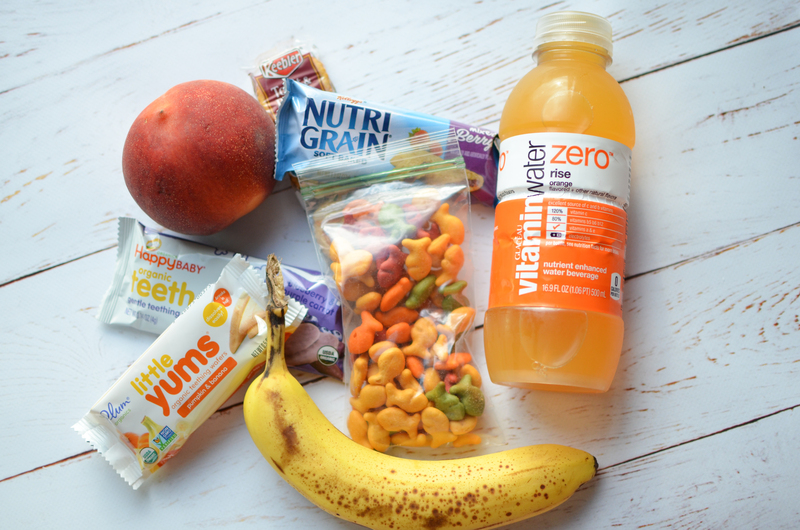 Be armed with Snacks. I think this is a no-brainer, but we’ll have an arsenal of snacks and water for all of us in a cooler in the backseat. Snacks are always an easy way to keep the girls occupied for a little while! Have electronics charged and pick up few new toys. Abbie is a pretty good traveler, but after a while, she needs something to do in the car. I’ve said over and over again what a good investment our Kindle Fire kids edition has been, and it’ll be charged up and ready to go for her. 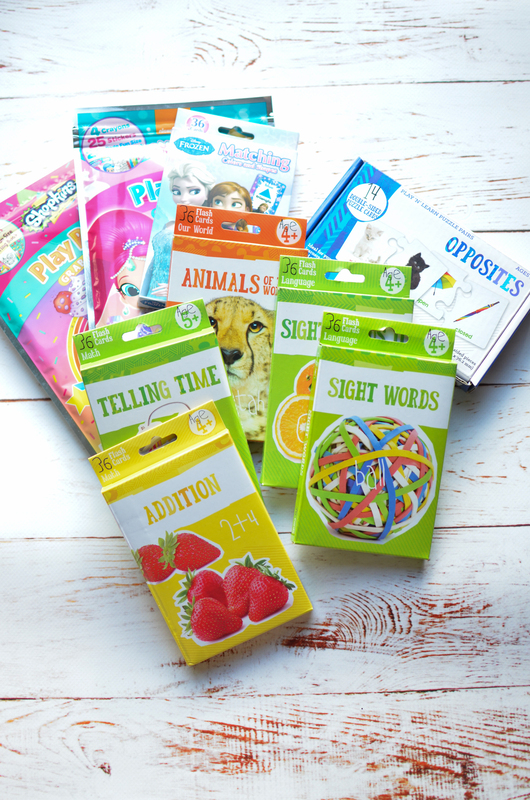 I also cleaned out the Target dollar spot of some fun things – play packs, matching games, and some learning flashcards. Ella obviously can’t use a Kindle, but we’ll have a bag full of toys ready to hand to her, and she’s a big fan of watching her big sister’s antics in the car. I may grab a new toy or two to keep her occupied as well. Have activities ready for when you get there. This obviously depends on where you’re going and what you’re doing. We’ll be waiting for Chris’ aunt to get off work before we can see her, so I found a kids museum in her hometown that we’ll be heading for first. That’s another fun distraction for both girls, gets us some downtime and fun, and makes the trip more of an adventure for them. Every successful trip we’ve had with Abbie has involved giving her plenty of things to do, and this trip is no exception. Kids want to be kept busy! So, wish us luck on our trip – anything I missed? What tips would you add to my list? Hi there! I'm Jess. I'm wife to Chris and mom to Abbie (3) and our newest little one, due late October! I'm a working mom in the DC metro area, and I firmly believe that each mom should have the choice to do what's best for her and her family. I love coffee (what mom doesn't? ), college football (Let's Go Hokies! ), and have never met a stranger. Giving perfect gifts is my love language, but I'm terrible at receiving them. I strive to write about every piece of my life and motherhood - from the highlights to the challenges. We're all in this motherhood thing together, and I'm so excited to be here and get to know you!